Photograph of a middle-aged man identified on the reverse as Frank M. Collester. The photograph was taken at the Taylor & Preston studio of Salem, Massachusetts. 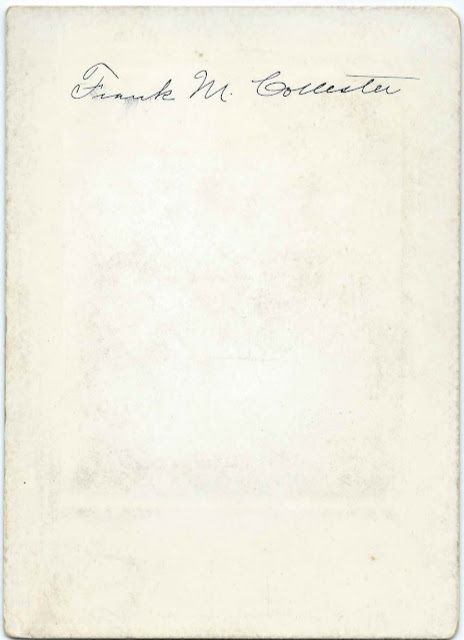 Franklin Melvin Collester was born 21 September 1855 at Fitchburg or Gardiner, Massachusetts [I found records for each], the son of Thorley and Abigail Maria (Whitney) Collester, who were born at Dublin, New Hampshire, and Gardner, Massachusetts, respectively. Frank graduated from Amherst College with the Class of 1877 and went on to receive graduate degrees there. 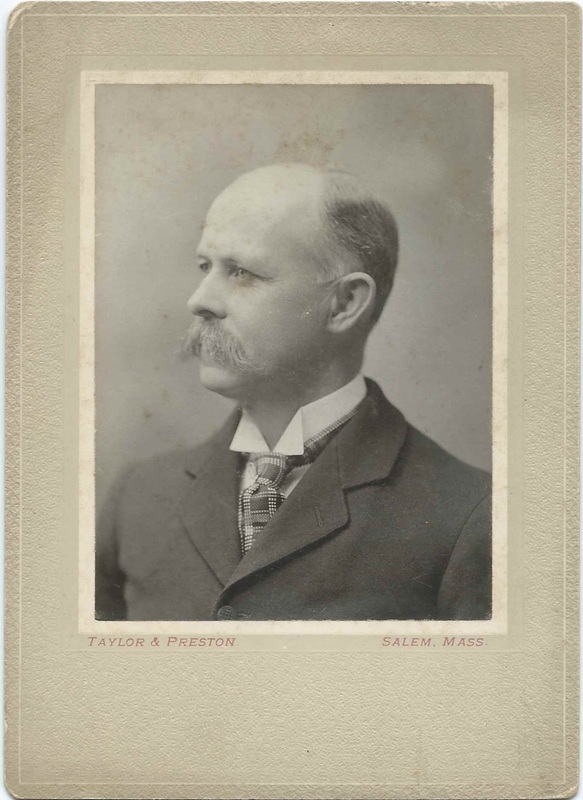 City directories indicate that Frank was a high school principal at Salem, Massachusetts, around the time this photograph was taken. At some point he moved to Minnesota. I'm not sure of the situation, but in the 1910 and 1920 Census, Frank was not in the household, though Stella called herself married. Frank may have been in an education position that required him to live on campus, or perhaps the couple were estranged. In the 1930 Census, Frank, then at St. Paul, Minnesota, called himself widowed. He died in 1936. This photograph was found with several others that appear to be graduation photographs from Salem High School. See other posts for photographs of the students: Alfred Peabody; Helen Hanson Merrill; Florence Hurd.